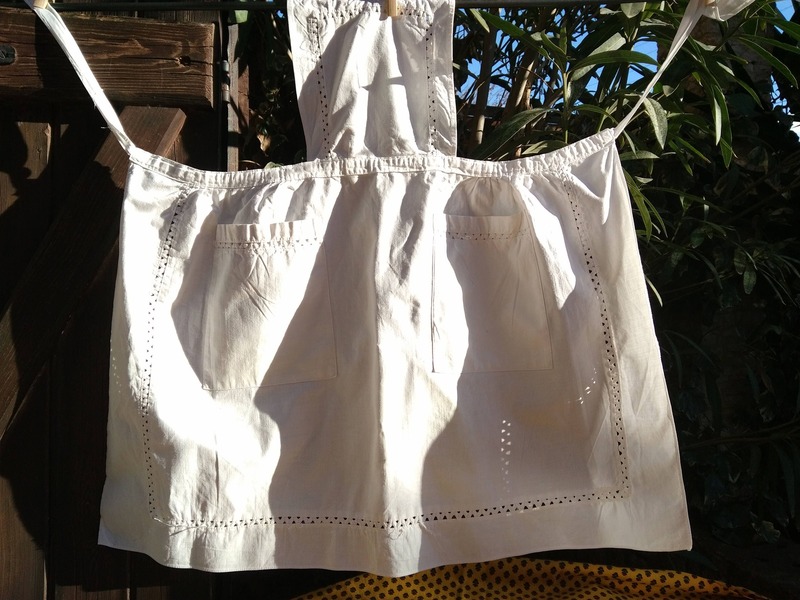 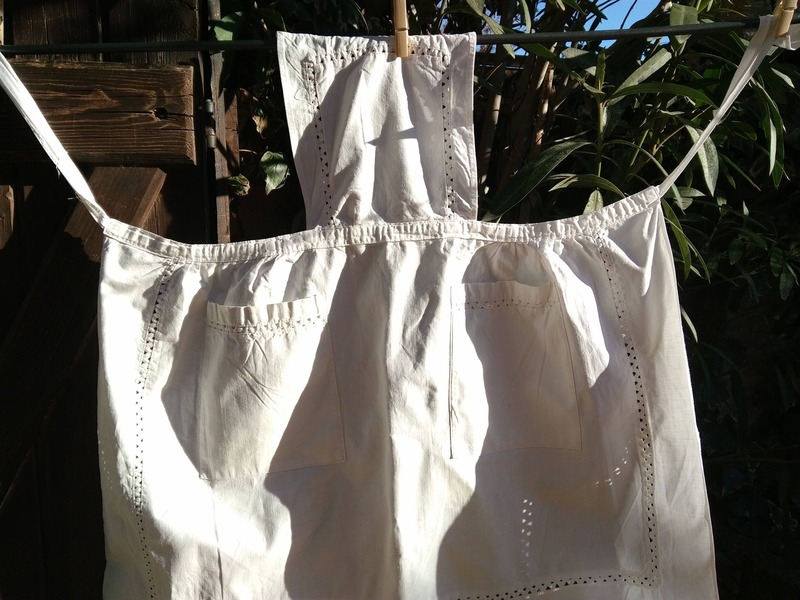 White French metis linen maid apron with picots inlays. 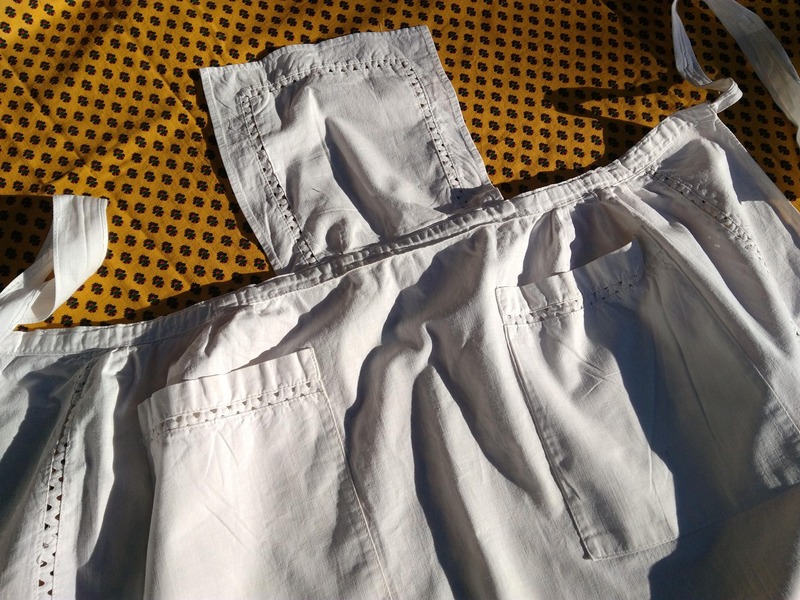 Two front pockets . 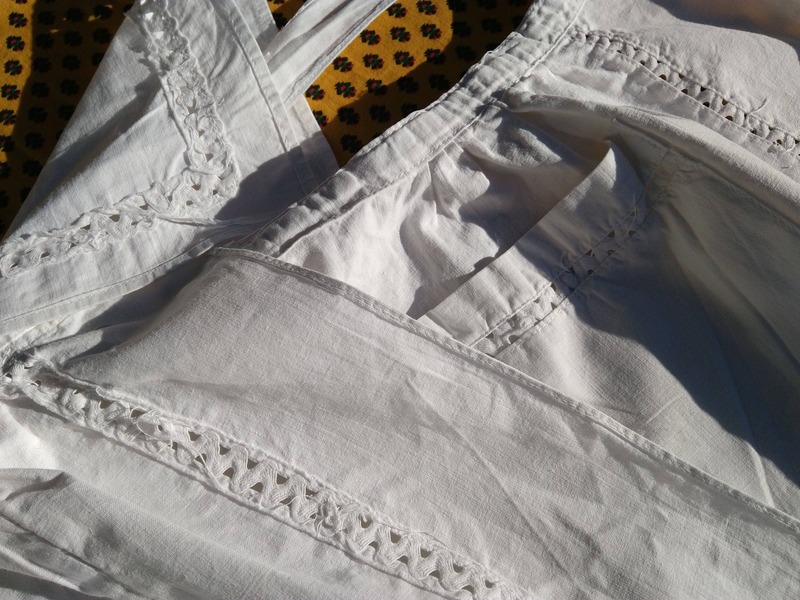 Metis linen woven with cotton. 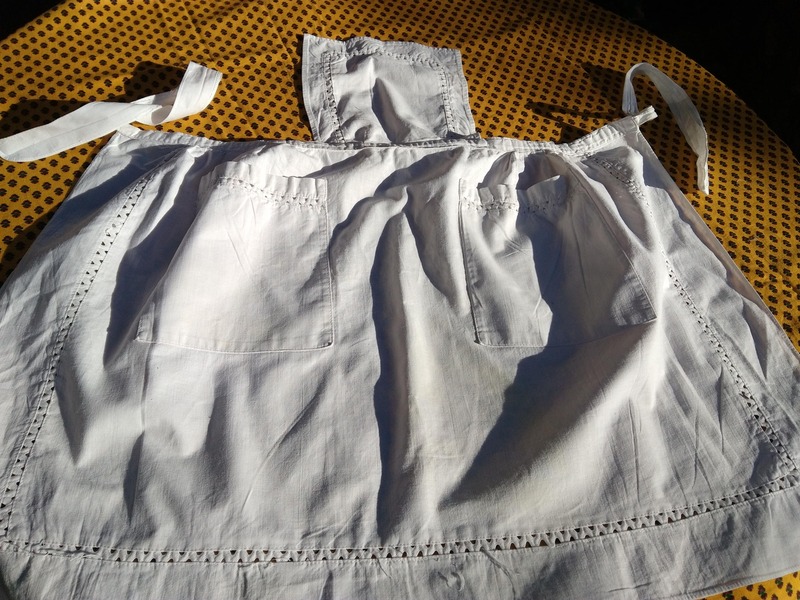 Top : Tall 8 x width 8 in.No neck strap was pinned on the blouse. 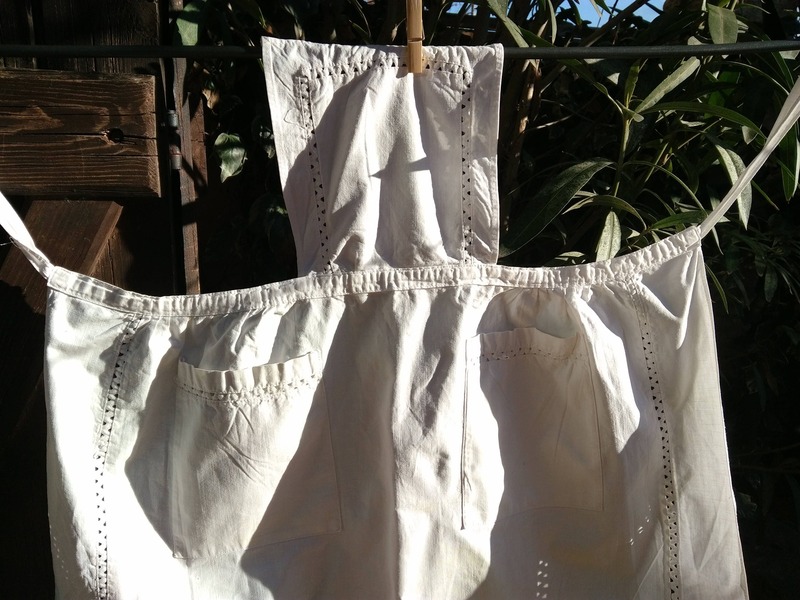 Bottom :Tall 20 x width Top 24 Bottom 29 in. 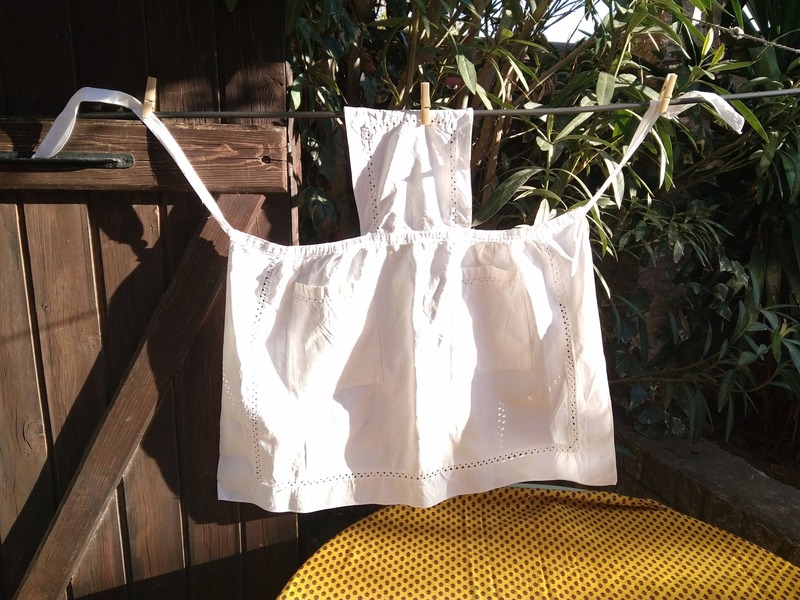 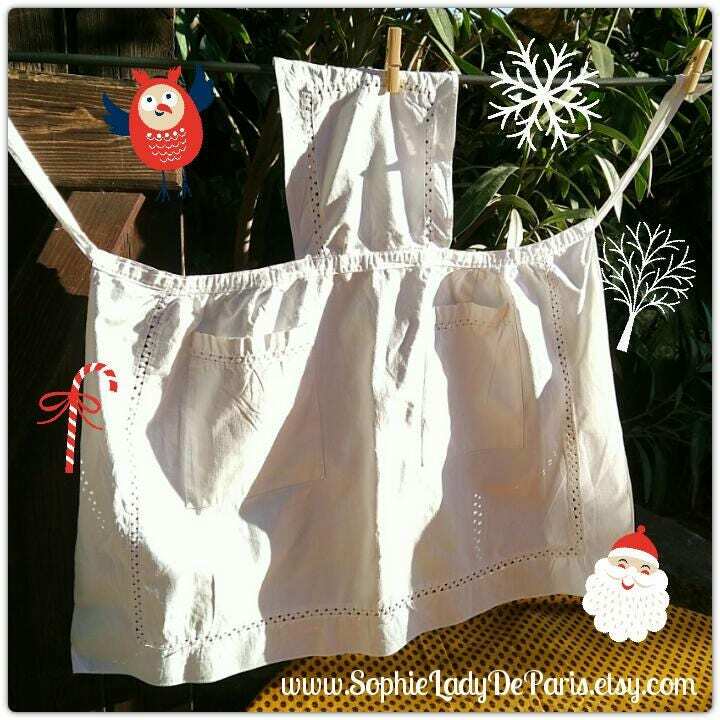 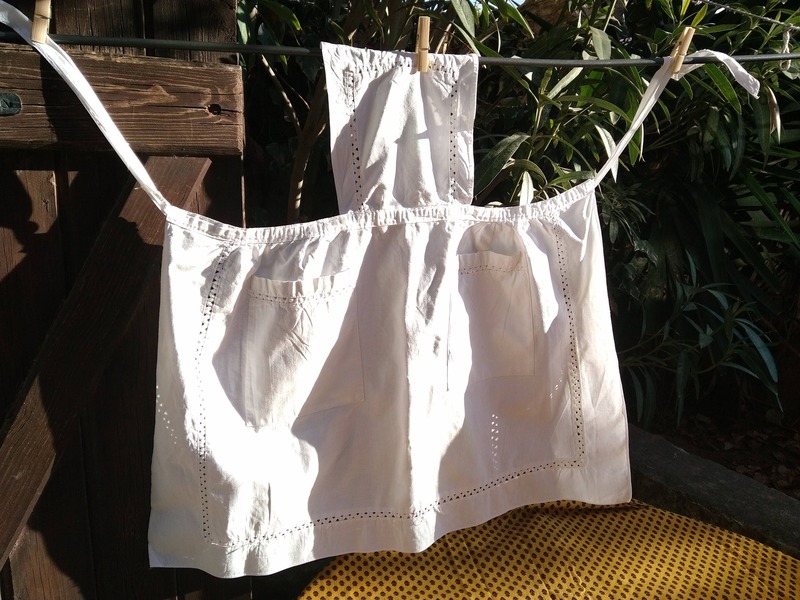 Lovely Mid - century white French maid Apron .